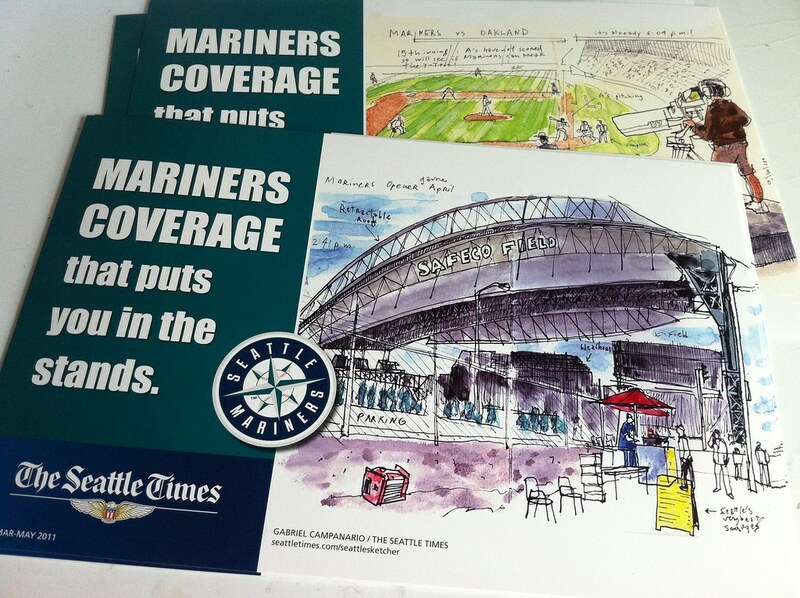 A fun surprise was waiting on my desk when I got back to work today: baseball season news rack cards that feature two of my sketches (previously blogged here and here.) 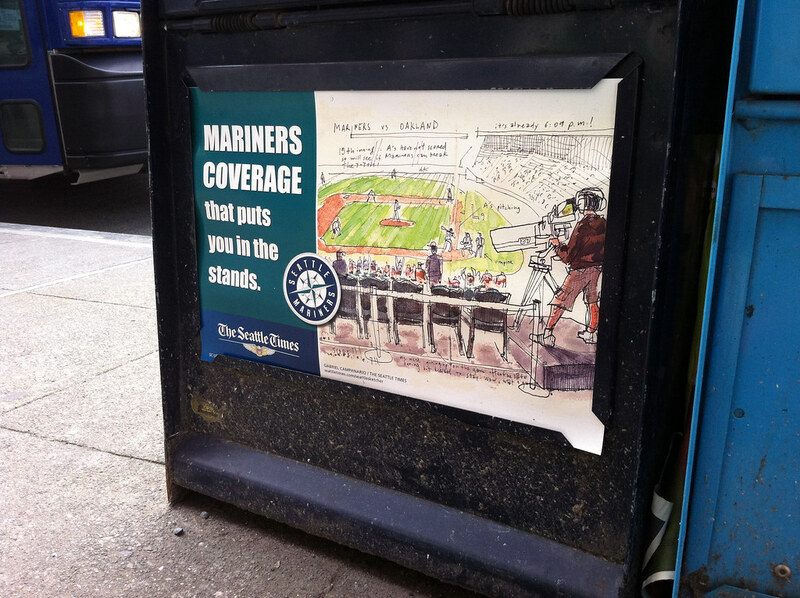 The cards are used in news boxes around the city to promote the Times’ Mariners coverage. I never think of my sketches as artwork meant to be framed or used in forms other than this blog and my newspaper column, but I may have to change my mind after seeing these! My 7-year-old may like to hang them on his wall next to the Ichiro poster he got at last Sunday’s game. I’ll bring some home this evening for him.